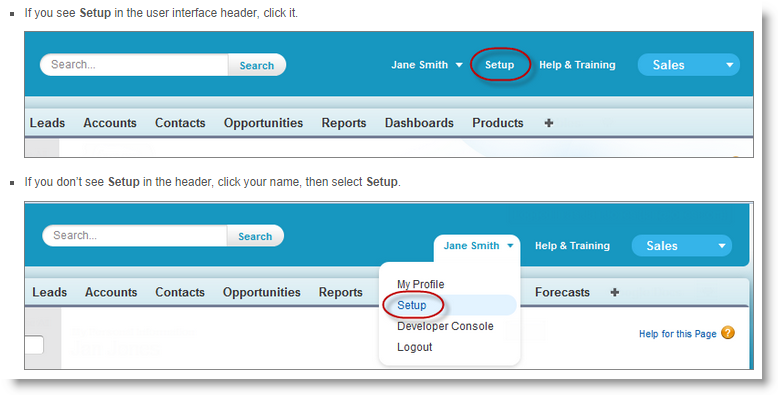 Native Salesforce requires that every Contact (Individual) created must be linked to an Account (Organization). In Causeview, when you create a new Individual and leave the Account Name (Organization) blank, it automatically associates the Individual with the Individual Bucket Account. The Individual Bucket Account is essentially an Organization record that serves as a placeholder for all Individuals who are not associated with any specific Organization. The Individual Bucket Account has a limit of 50,000 Individual records. This means that only up to 50,000 Individuals can be associated with this account. When the limit is reached, we recommend that you create a new "Individual" Bucket Account where new Individuals created are then automatically associated to. 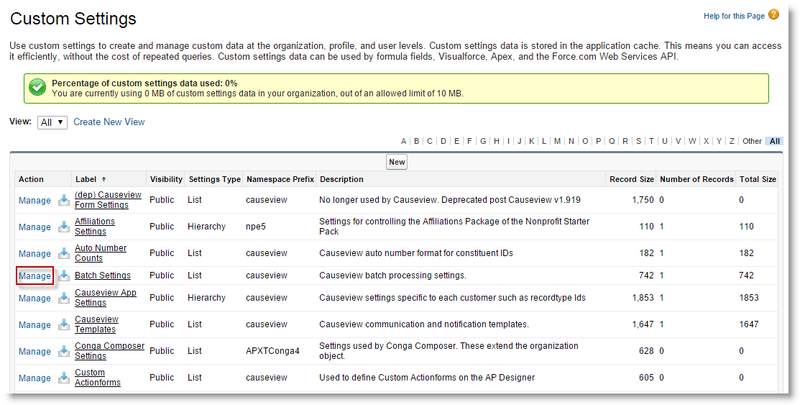 Select Organization as the record type and click on "Continue". Enter "Individual" as the Account (Organization) Name. To make it easier for you to distinguish between the former Individual Bucket Account and the new one you are creating, it may be helpful to put "New" beside the name so that it is entered as "Individual (New)". Another option may be to edit the former Individual Bucket Account to say "Individual (Old)". You can leave everything else on the page blank and click on "Save". 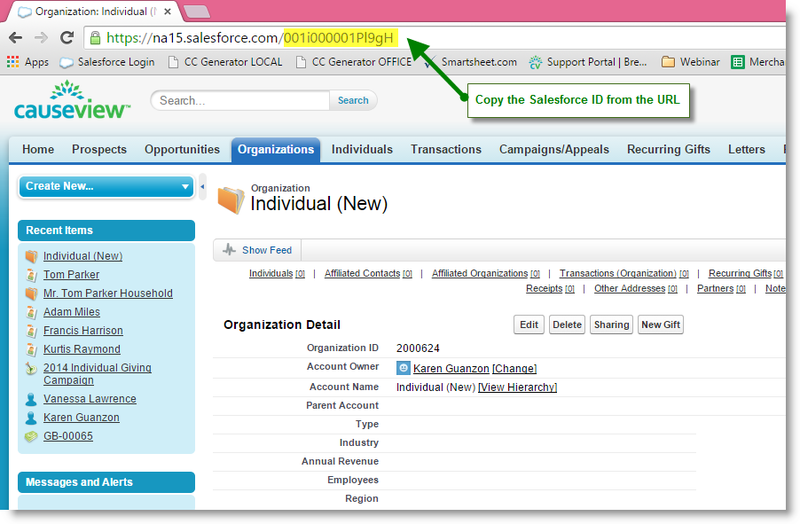 Once the record is saved, copy the Salesforce ID from the URL. Just copy the highlighted area in the image below. The next step is to update your Custom Settings in Causeview so that new Individuals created will be associated to the new Individual Bucket Account. On the left side of the page, you will find a heading called "App Setup" (in some instances, this is labeled as "Build"), expand the Develop menu and click on "Custom Settings". 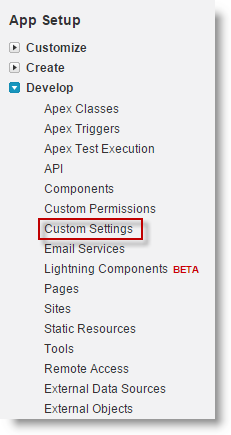 In the Custom Settings page, look for "Batch Settings" and click on "Manage". Next, click on "Edit" beside "Default". Look for a field called "Bucket Account ID" and replace the existing ID with the Salesforce ID you copied from the new Individual Bucket Account you created. Then click on the "Save" button. New Individual records created after the custom setting is changed will be associated with the new Individual Bucket Account.